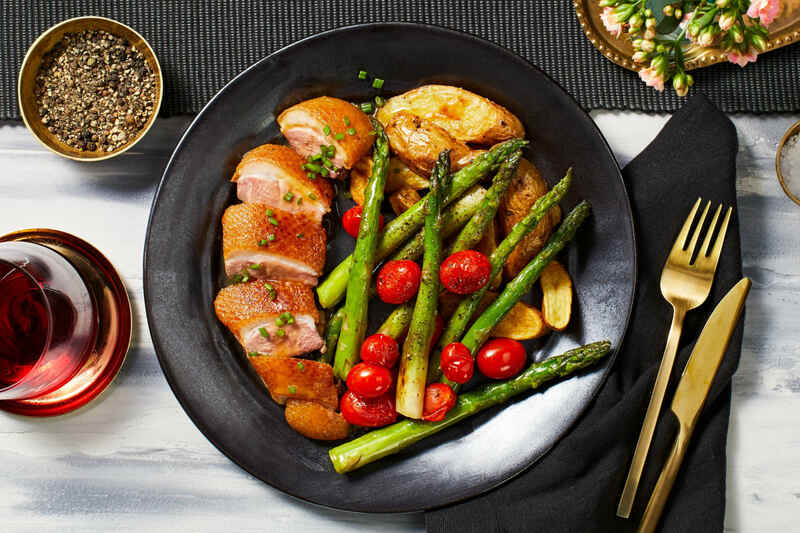 Duck is surprisingly simple to cook, and it always rewards with luscious, rich flavor—making it perfect for a special dinner. 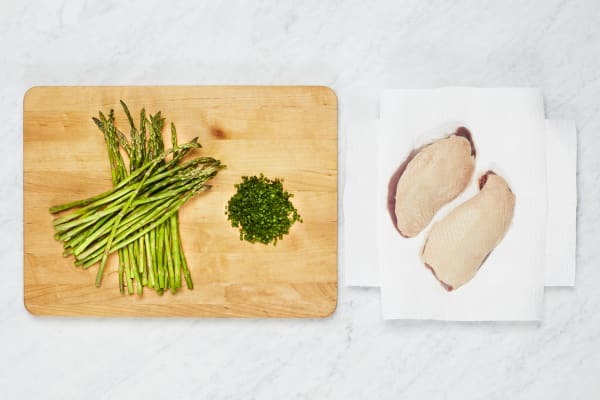 Here, you’ll be using the meat two ways: first, breasts are seared in the pan until the skin is rendered and crisp, and then the potatoes are tossed in the drippings to give them a marvelous, lingering flavor. Wash and dry all produce. Halve potatoes lengthwise. Place in a medium pot with enough salted water to cover by 1 inch. Bring to a boil and cook until easily pierced by a knife, about 15 minutes. Drain well and return to pot. Meanwhile, trim bottom of asparagus. Mince chives. Pat duck dry with paper towels. 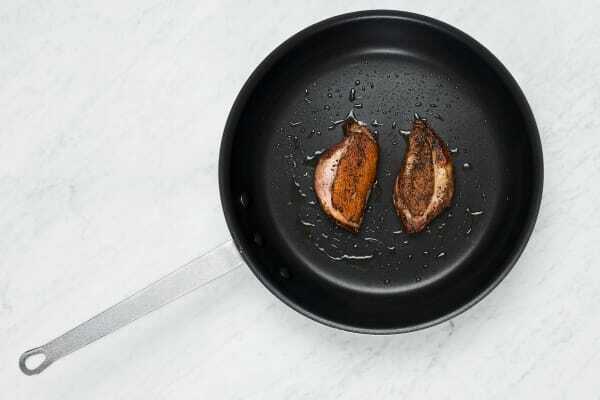 Season duck generously with salt and pepper, then place skin sides down in a large pan. Cook over medium heat until skin is crisp and most of the fat has rendered, 10-15 minutes, pouring off and reserving fat as it renders. (TIP: Lower heat if skin burns.) Flip duck over and cook to desired doneness, 2-5 minutes more. Remove from pan and let rest. Add just enough reserved duck fat to pot with potatoes to cover bottom surface. 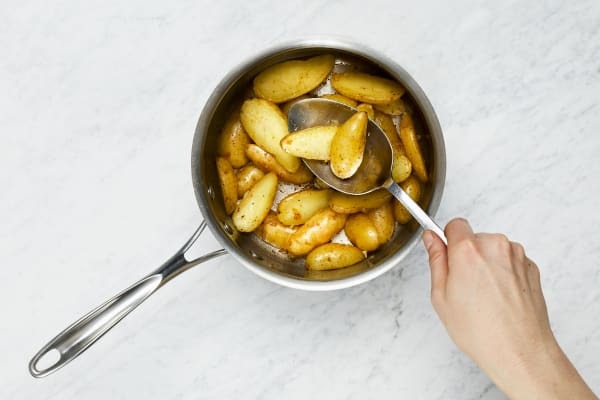 Place pot over medium-high heat and cook potatoes, tossing, until skins are crisp and browned, 3-5 minutes. Remove from pot and season with salt and pepper. While potatoes cook, add asparagus and 2 tsp water to pan used for duck over medium heat. Cover and steam 3 minutes. Uncover, increase heat to medium high, and add tomatoes and a drizzle of duck fat. 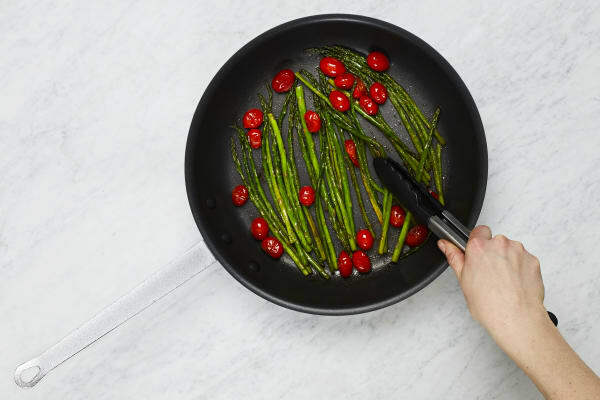 Cook, tossing occasionally, until asparagus is tender and tomatoes burst, 3-5 minutes. Season with salt and pepper. Remove from pan and transfer to a plate. 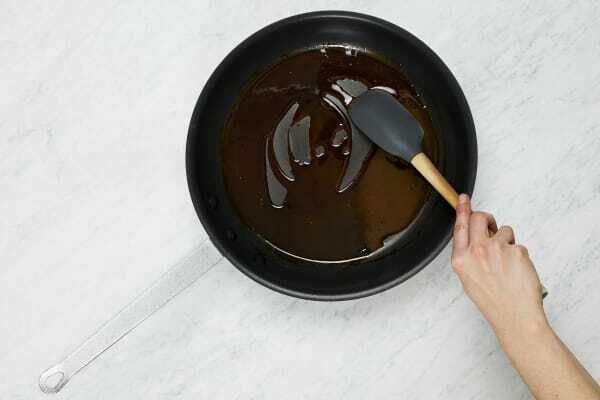 Add demi-glace, ¼ cup water, and 2 TBSP butter to same pan. Bring to a boil, then remove from heat. Stir to combine. Season with salt and pepper (to taste). Slice duck crosswise. Divide between plates along with potatoes and veggies. Spoon sauce over everything. Sprinkle with chives.